"I feel the need, the need for Velocity" never did have a nice ring to it. One of the best things about video games is their versatility. A game can go in any direction it wants to and can lead to some pretty creative means of storytelling or gameplay down the line. Sometimes, however, it’s easy for some games to get caught up in the genre and limits start to get in the way. One such genre is racing games. 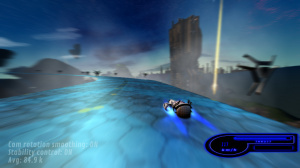 Some genres, like adventure games for example, can explore and experiment with so many ideas and really get inventive, but racing games end up following roughly the same track, no pun intended. There’s nothing else you can do besides start the race, drive around, and finish the race; the only other thing you can do is introduce items like in Mario Kart, but outside of that it’s pretty much the same formula. Where else can the genre go? Luckily, Swedish developer Cavelight Entertainment has been in touch and is seeking an answer in the form of its asymmetric racing game, Velocity Stream. On the surface it looks like a futuristic racing game like f-zero, but the more you look at it the more you see just how clever the game really is. Yes, cars are racing against each other, and yes it seems to be following the same pattern as other racing games, but Velocity Stream breaks the conventional boundaries of other racers with the inclusion of one simple gameplay mechanic: the paver. The paver is a spaceship that flies about the environments of the game as it creates endless streams of energy from its tail and is controlled by one of the players. But there is more to it than that, it is then up to the other players to race on the reams of energy that are being created. So effectively, one player makes the race course at the same time that the others race on it. The paver can also change the track's angle, its width, and whether or not it should have obstacles on it, in order to make the course as challenging – or as friendly – as possible. This pretty much means that the game has near limitless replay value as every single race will be different from the last with new courses, quite literally, being made out of thin air. Such diverse possibilities are sure to make it a hit for party-type gamers. 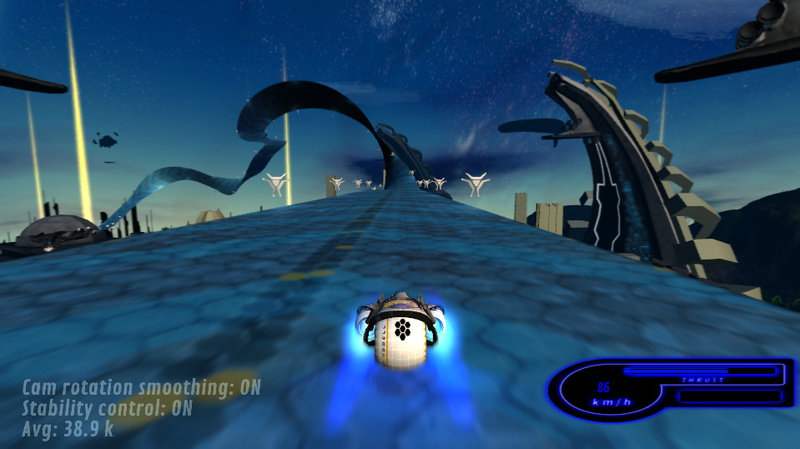 Cavelight Entertainment is well into developing the game for PCs and is hoping to have the game out by this coming summer, but with it being an official developer for the Wii U it wants to bring this creative racer to the Nintendo console. It certainly makes sense, what with the paver controlled via the GamePad and the other players using the TV, but even though the developer is enthusiastic, the studio's admitted to us that it doesn't yet have any devkits of the Wii U; it looks like Wii U gamers might have to wait a little bit longer than PC gamers on this one. The game has already been showcased to players in Sweden and the reception was positive. It seems to be winning over some fans and it looks like just the kind of inventive game that would suit the Wii U. Check out the game itself - along with gamer impressions - in the video below and let us know in the comments what you think. Is this a creative step forward in the racing game genre, or is this endless road going to lead to a dead-end? Wow, looks like a good idea! I'll have to follow this one to see how it ends. Let's hope it will eventually be released on WiiU, I think it could be a cool idea to use the gamepad creating the race while seeing how four of your friends are competing each other. Although I don't know if it should fit better being like an alternative game mode or something... Otherwise every time you play you will need a partner to play with, won't you?? Nice idea , we'll see how/if it turns out for Wii u. Not sure this would be good for one player though if the only original concept is for multiplayer!?! At first I was like: "look, it's like Extreme-G ..and with the very same graphics?" Not having an new F-Zero leaves room for this I guess..
Neat gimmick, but track creation isn't new. All this does is prevent one player from playing. Looks fun because futuristic racers and track editors are both neat, but the main selling point just seems unnecessary. Guess I'd have to experience it to get an idea for how different it is to make tracks while they are being raced. Looks cool but Diddy Kong racing still has some of the best genre breaking concepts in racing games. @SetupDisk Finally a person who agrees! So they are an official Wii U developer, but don't have devkits. How is that possible? Game looks nice, always good to have more Wipeout/F-Zero style games coming out. The premise is certainly quite interesting. I'm curious to see how this develops. Sounds really nice, specially with friends. I can see the winner/loser of each race then using the gamepad and creating the next race. I would also like to know if there is a way for the CPU to create the track for you, or even to download tracks made by other players. Lol, f-zero vs zero track memorization, nice touch. I kinda like the idea, but only if it also offer a 'normal' way of playing, and online of course. As long as that awful music isn't in the game, I'm in. I want a game like this on 3DS. I'd die to play the N64 XtremeG on 3DS. Thanks for the comments. To answer your question, yes, we are definitely going to include online multiplayer and probably Paver AI. Regarding our Wii U developer status, we have been approved by Nintendo and we have the special Wii U version of Unity. Feel free to follow us on Twitter (@CavelightEnt) or on IndieDB to receive the latest news on this game. this looks good cant wait. It's nice to see some more assymetric local multiplayer on Wii U like with Nintendo Land. The Wii U really needs more games that make creative use of the GamePad functionality past basic stuff like maps and inventories. This actually might be one awesome game if they provide proper online functions. But what should be a given is pre-created race tracks for classic competition and score hunting, since the zero track memorization cannot offer even challenges for high scores/time challenging. Another good idea could be challenge exchange - allowing players to save the track they made to upload it online as a challenge and see the best times of those who try it. Those are only suggestions, though. 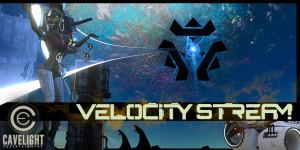 And from what I saw in that video, Velocity Stream still is a very promising game. Keep it up!